In Doom 4, if you encounter errors such as game won’t start, sound is distorted or the game crashes, then you are not alone with these issues. In our guide below we have summarized for you solutions that could help you with some of these errors in DOOM. There are currently no solutions for some of the errors in DOOM, and presumably you will have to wait for a patch. Bother you, for example, the auto-aiming; we have to disappoint you, because there is currently no fix for this issue. Also for setting mouse speed DOOM had not received any option in game. In following, we show you how you can resolve this and other problems in DOOM. A quick mouse movement is already advantageous for shooters like DOOM, but not everyone can handle the preset acceleration and adjust them gladly. That this possibility does not exist so far in DOOM, spoils the game for many users. You can adjust the mouse acceleration with the following steps. - Open the folder C: \ Users \ NAME \ Saved Games \ id Software \ DOOM \ base the DOOMconfig.cfg file and scroll all the way down. - You can find the line m_smooth in which you have to change the value of 1 to 0. - Save the file and the next start the mouse speed should be reduced. This effect you can achieve when you adjust the mouse speed in the Steam options. The following steps explain you how you proceed. 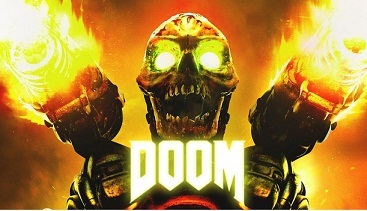 - Open Steam and click the right mouse button on DOOM. - Click on Properties and select Set Start Options. If DOOM Crashes with you frequently, you should check the driver of your graphics card. But watch out! Some players have complained that the new graphics card driver won’t fix the crash issue and could solve crashes with the installation of old drivers only. - Start the multiplayer until you get a message. This happens only the first time. - Now Leave this mode and go in the campaign. Play it for awhile. - Start now again the multiplayer.